By now you should master the art of making the Belgian fries, so high time to learn about mayonnaise. Take a round bowl and put it on a humid towel. This will prevent that your bowl starts skating on your kitchen counter when you start stirring the mayonnaise. Put the egg yolk, the salt & pepper, the mustard and optionally the cayenne in the bowl. Stir so that the ingredients are mixed. Now slowly add oil while stirring. Don’t whisk! You use a whisk to stir, but always move in the same direction, not to fast, not to slow. 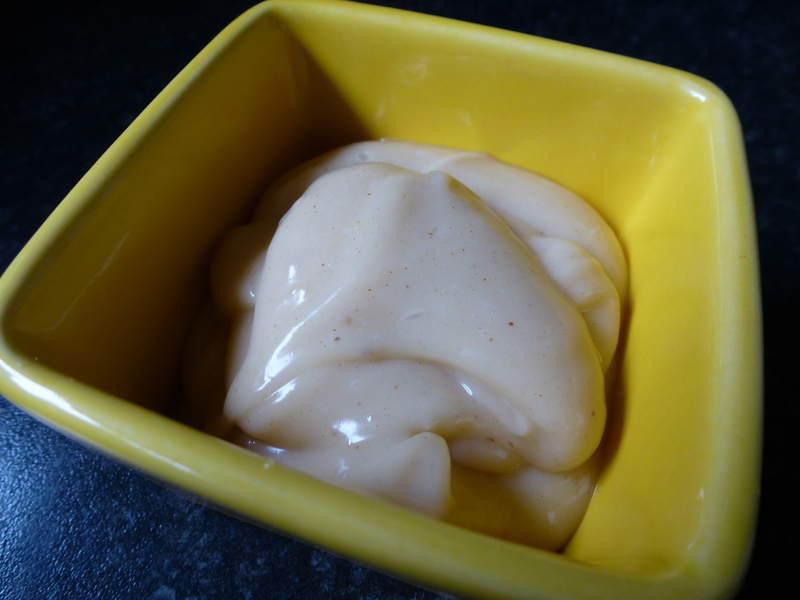 An emulsion between egg and oil will start to form and so develops your mayonnaise. Stop adding oil when you reach the right consistency. Don’t overdo it. One egg only fuels a large cup of mayonnaise. When this is done you can add some vinegar, lime or lemon, according to taste to reach your best homemade mayonnaise flavour. One thing is for sure. If you want to succeed, the secret is that your ingredients need to have the same temperature. So take your eggs out of the fridge a while ahead. When it happens that your mayonnaise starts to clot, try adding a small bit of cold water (about 1 or 2 tbsps. ), continue to stir and if you are lucky it will repair itself. If you want to use another oil, please do. But use oil which doesn’t have an imposing taste. Olive oil is nice, but it will definitely change the original taste of the true Flemisch mayonnaise. At the beginning we gave away that you can add some cayenne pepper to the recipe. This is in preparation to make ‘cocktail sauce’ instead. When you have the mayonnaise done, add cayenne if you haven’t already done so, add ketchup and a drop of your good whisky (2-3 tbsps.). Stir and voilà, all done! This entry was posted in Belgian Classics and tagged Cayenne pepper, cocktail sauce, Egg yolk, Mayonnaise, Mustard, Olive oil, Vinegar by petratant. Bookmark the permalink.